On a map included in the report, desirable locations are concentrated in north-eastern Europe, beginning in London, plus Paris, Madrid and a few other places. 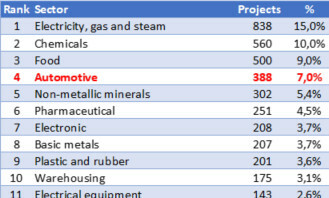 We made a comparison with a map of 75 logistics investment in Europe, tracked by our Industries & Strategies database. Those 75 investments, for a total amount of 3,3 billion USD, will create 22 800 jobs. They represent a sample of decisions made during the last three years. Those two maps, compared hereunder, reveal a fair proximity between investment decisions tracked by Trendeo and desires as surveyed by Prologis Research. 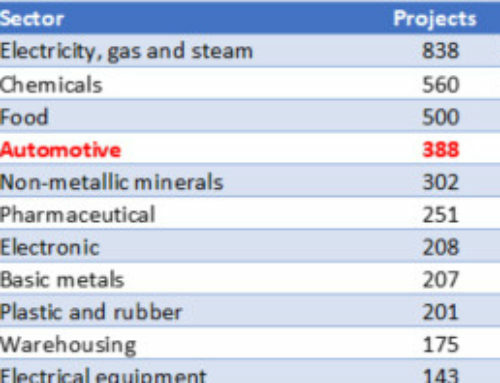 Investment decisions as tracked by Industries & strategies, a Trendeo database, from january 2016 to october 2017, left. Most desirable locations by market for logistics, as surveyed by prologis Research, right.